A day out – from Radovljica to the coast! Almost five days it’s been. Five long days. I know I’m forever waxing lyrical about the beauties of Radovljica and its surroundings, but anyone visiting this region of Slovenia during the past days would be forgiven for thinking I’ve been talking rubbish since all that has been apparent to the eye for those five days has been low, white lingering cloud. Not a hint of blue sky or sunshine, not a forest or mountain in sight. So, today it was time to get wily and outfox the weather! And I did and I felt smug! It’s quite often the case that whilst there might be low cloud in the valley, if you get up high enough, you can be bathed in glorious sunshine and, looking down over the cloud. So this morning I set off on foot from home towards Jelovica, the plateau that dominates the backdrop to Radovljica, and within a little over an hour of leaving home, I found it – the elusive sun! I continued up to the Goška ravan highland and then reluctantly began to return back towards Radovljica where, I’m pleased to report the sun, albeit briefly, peeked through the clouds and the forecast looks decidedly better for the remainder of the week, if still unseasonably cold. One of the advantages of living in a small country like Slovenia, is the ability to be able to get pretty much anywhere in the country within a couple of hours. I’ve never been overly interested in the seaside and certainly not sunbathing, the mere thought of it bores me to tears. However, the occasional day trip to the Slovene coast is a real treat; a change of scenery, the warmer climate zone, the different flora and fauna, food etc. So last weekend, to coincide with the Sladka Istra Festival, I set off towards Koper. Wanting to make a whole day of it, I started early and stopped to walk first on Nanos, then later on Slavnik, before reaching Koper. The vast Nanos plateau forms an extention of the Dinaric Alps and is 6kms wide and 12km long. 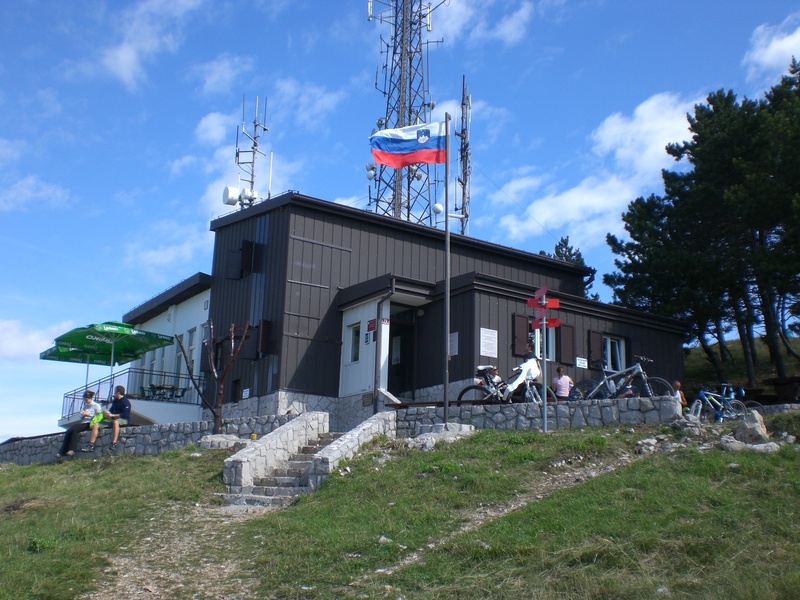 The highest point is Suhi vrh at 1313m. 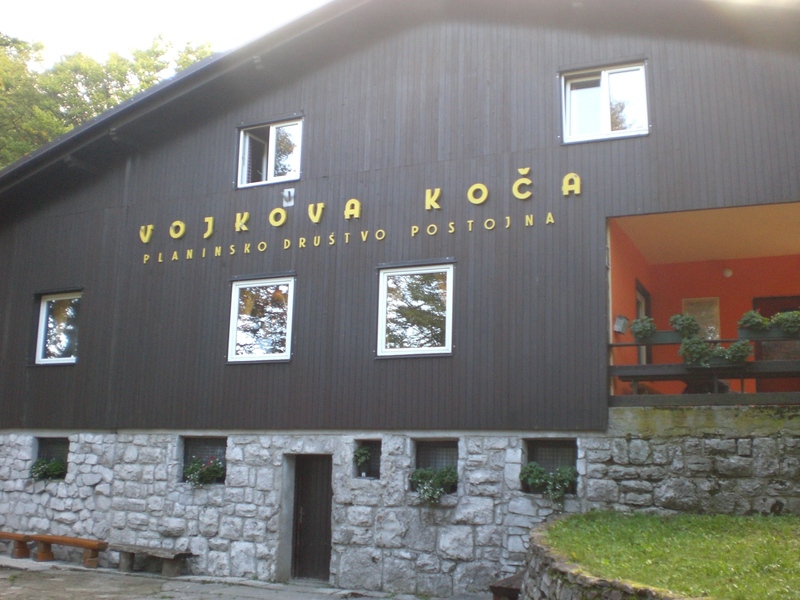 However, the most often visited part of Nanos is the mountain hut ‘Vojkova koča‘, which stands a little lower at 1240m. 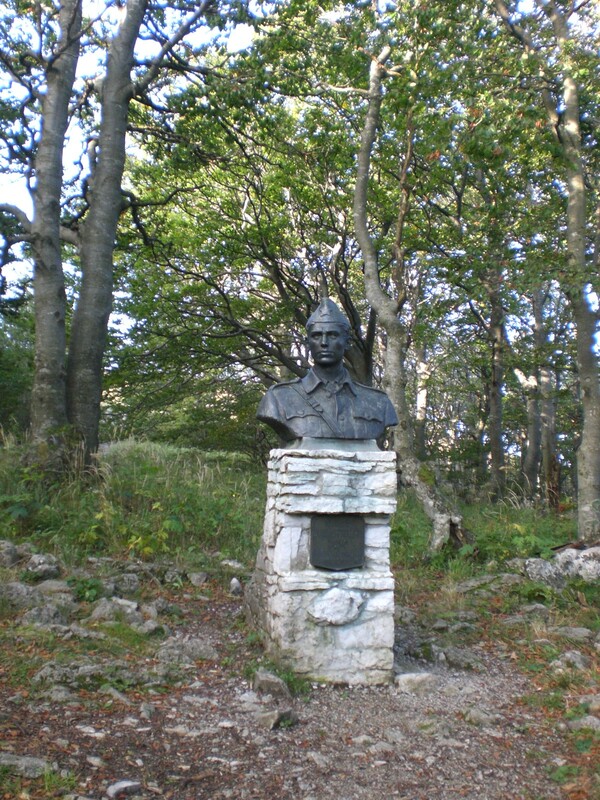 The hut, established in 1949, was named after the national hero Janko Premrl (1920-1943), who was born in the nearby village of Podnanos, and whose statue can be seen adjacent to the hut. There is a choice of routes and start points which lead to the top. I left the motorway at Razdrto, around a hours drive from home, and parked in the large parking area in the village, which is specifically intended for those visiting Nanos, such is its popularity. From here the steep path ‘strma pot‘ leads, as the name implies, fairly steeply up and involves a little scrambling and a couple of exposed section where steel cables are in place to assist. Following this path, it takes little over an hour to reach the hut. The more level path ‘položna pot‘, takes a little longer, but is more suitable for those wishing to avoid the rocky sections, or with children. 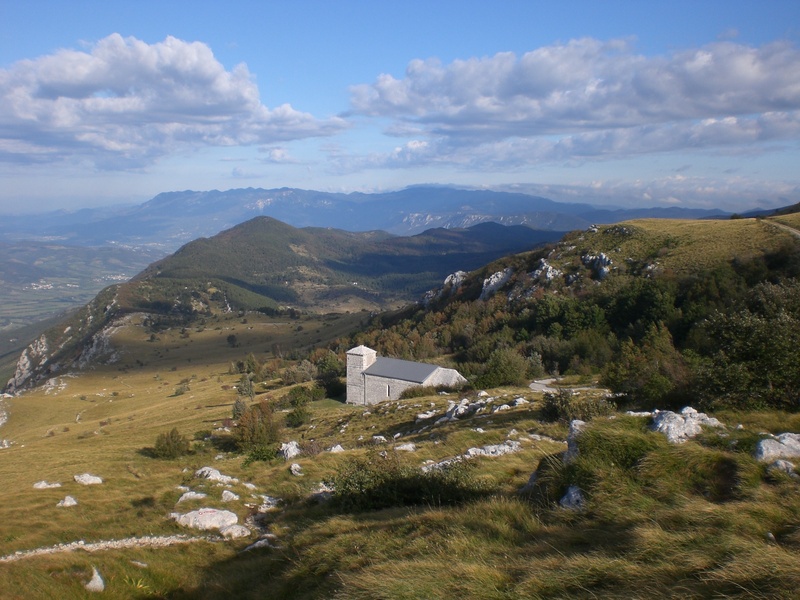 Either path offers far-reaching views over the Vipava Valley and towards the coast. Nanos, and the whole of the Primorska region of Slovenia, is subject to ‘burja‘ winds, hurricane strength winds, which can reach speeds of up to 200km an hour and can sometimes last for days and be very destructive. 3 of the 4 times I have visited Nanos, it has been incredibly windy and so one must always be well prepared and have additional warm clothing and perhaps an extra stone or two in your rucksack to stop you getting blown away! From Razdrto, I continued on the motorway to the exit for Podgorje and the walk to Slavnik. 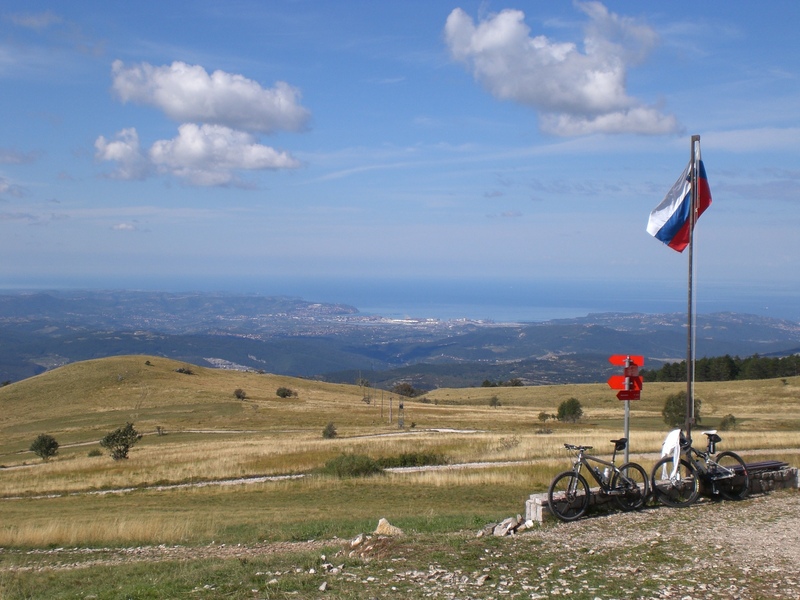 At 1,028m, Slavnik is one of the highest peaks in the Istria region and a very popular destinations for hikers and cyclists. Again, there are numerous ways of reaching the top and a choice of steeper or easier paths. 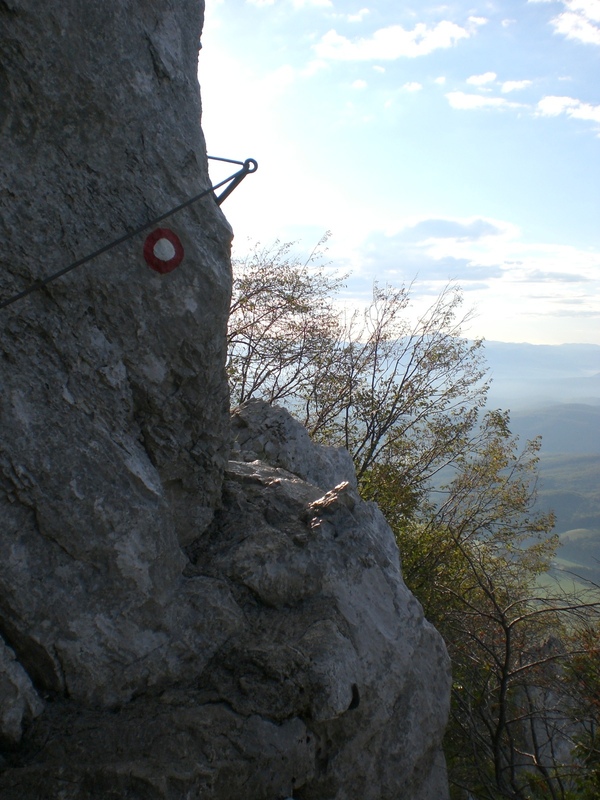 I chose the steep direct route up from Podgorje, which really isn’t that steep at all, and leads easily and gradually uphill, taking about an hour to reach the top where the hut ‘Tumova koca‘ stands, named after the mountaineer Henrik Tuma. By the time I reached Koper, I had certainly earnt my sweet treats at the Sweet Festival! More about which, and about Koper itself, I will write next week. On Sunday 6th October, the annual walk around the village of Otoče and its surroundings will begin at 8am, commencing at the train station at Otoče. The 10 euro fee will include around 4 hours of guided walking, 2 hours of sightseeing and lunch.